A groin injury has forced Bailey to miss two turns in the spring training rotation. GOODYEAR, Ariz. — Spring training is about the process. One doesn’t just walk into baseball’s preseason ready to throw nine innings or string together long hitting streaks. Homer Bailey has had an interruption in that process but he hopes it doesn’t keep him from starting the regular season in his normal spot in the Reds pitching rotation. A groin injury has forced Bailey to miss two turns in the spring training rotation, including Friday against Kansas City. He instead threw a bullpen session with the expectation of starting in a minor league game Sunday. If he keeps on pace he’ll be ready to take his turn in the opening week of the season. "It’ll be more of a relief once it’s over and we have a better idea of where it’s at," said Bailey. "Obviously every day has improved a little bit so we’ve still got a couple of games before we get into game action so I think even those two days are going to be big." Bailey’s career has been a building process. 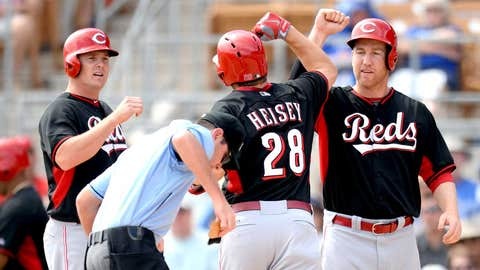 This June will mark 10 years since the Reds selected him seventh overall in the 2004 draft. He came out of high school in Texas with sizeable expectations, maybe too sizeable. It’s not fair to put those kinds of things on an 18-year-old but that’s how it was. 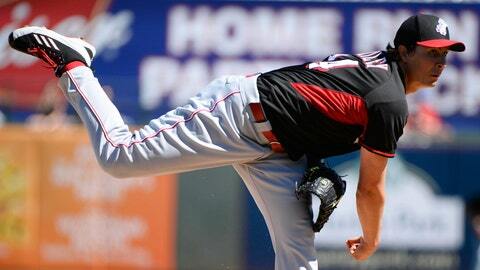 Not everything has been smooth for him along the way; after making his debut with the Reds in 2007, injuries and inconsistencies plagued Bailey as he sought to not just solidify his place in the rotation but as a foundation of their future. The six-year, $105 million contract extension he signed at the start of this camp tells you all you need to know about what the Reds think of Bailey. Bailey hasn’t missed a start the last two seasons. His record of 24-22 is misleading. He’s set career highs in innings pitched and strikeouts both seasons while lowering his ERA each of the last five seasons. Oh yeah, he’s also thrown no-hitters in back-to-back seasons. So the Reds will stay the course with Bailey and hope he can be ready to go that first week of the season. There is a possibility he could be named the Opening Day starter but chances are better he’ll go in the second game of the opening series against St. Louis. "(Friday) is a pretty big day," said manager Bryan Price. "We’d like him to be able to pitch on Sunday and then come back and pitch again on Friday and then he’s lined up for the season. He should be able to get his innings and his number of pitches to be ready to go. So today’s bullpen and the ability to pitch on Sunday is pretty important." The Reds could have one rotation spot open at the start of the season as Mat Latos continues to come back from knee surgery five weeks ago. Price said it is likely Latos could begin the season on the disabled list in order to make sure he gets the entire buildup regimen to the season that the rest of the staff has undergone. Alfredo Simon has been starting throughout the spring and would be the top candidate to take Latos’ spot until he returns. Bailey is confident there won’t be a second rotation opening. He said his arm felt good after Friday’s bullpen session. The only concern is the groin and how it reacts to the workout. He could pitch against Milwaukee in the Reds scheduled game Sunday but going against minor league competition has its advantages. "It can be more controlled," said Bailey. "Let’s say I got to a certain amount of pitches in an inning, we would be able to say roll it as opposed to a major league game where I might have to be pulledâ¦ When you’re dealing with an injury it’s not like you want to go out there and stress it in one particular inning. You’d also like to be able to give it a break in between innings. It’s a little more controlled."